...for step by step instructions on creating this card: Stop by today's post on the Cropstop blog! ...another cute card!!! You've been busy! 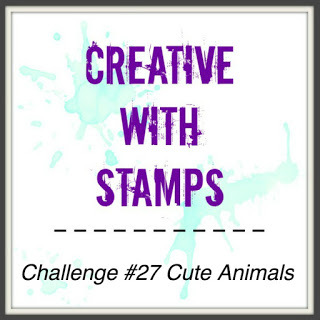 I see that you've linked a few to the current SOS challenge-- I'll try to get to them all! This one caught my eye-- so cute! Love that starry sky, too. Thanks for sharing, Esther! Hello Ester! I just love your adorable space monkey's card! The deep blue outer space looks great and I love how you popped the monkey's up to look like they are floating in space! Thank you so much for visiting my blog and leaving such kind sweet words! Fabulous background and those astronaut monkeys are too stinking cute! 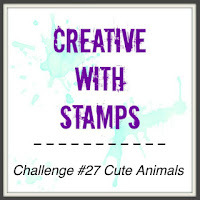 Thanks for joining us at Creative With Stamps Challenge.